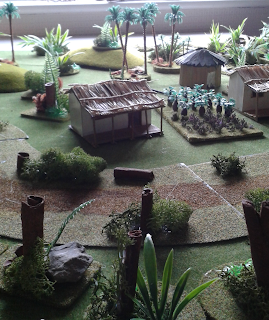 A blog about wargaming including making the necessary models and terrain. 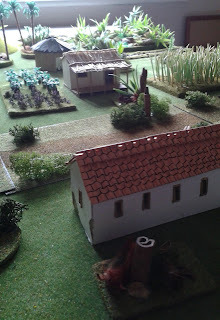 My interests are mainly the Ten Years War in Cuba, Second World War French, Russian and Finnish forces for the Winter War, Japanese and Chinese forces for Manchuria and the invasion of China, Britain and the Sudan, the American Civil War and the Siege of Sidney Street. At some stage I hope to represent them all on here! 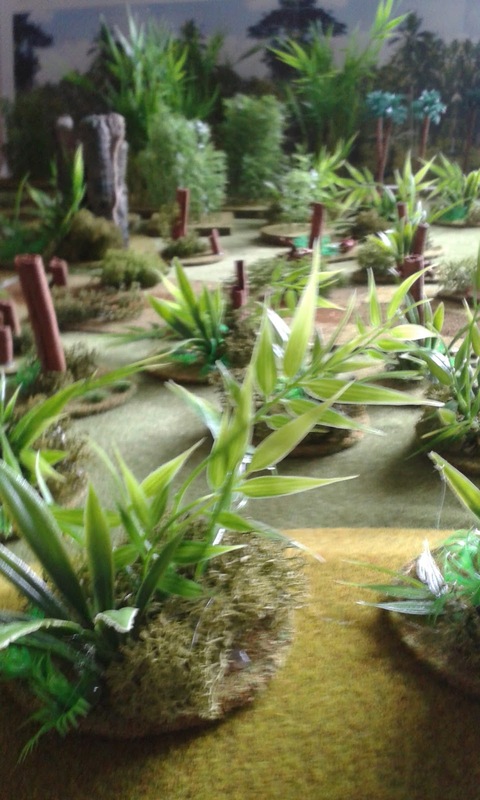 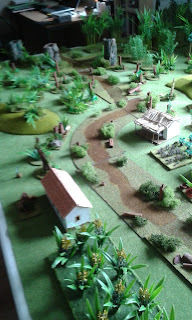 Completed Jungle Terrain for my Ten Years War in Cuba project. General view of the newly completed jungle. 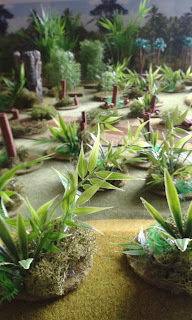 I have used fairly small bases of either 3 or 6 inches in diameter so that the stands can easily be rearranged to give an infinite variety of layouts. 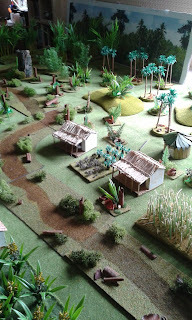 Another general view which also shows part of the backdrop picture. I still need to expand the backdrop and also add a view with more sky. 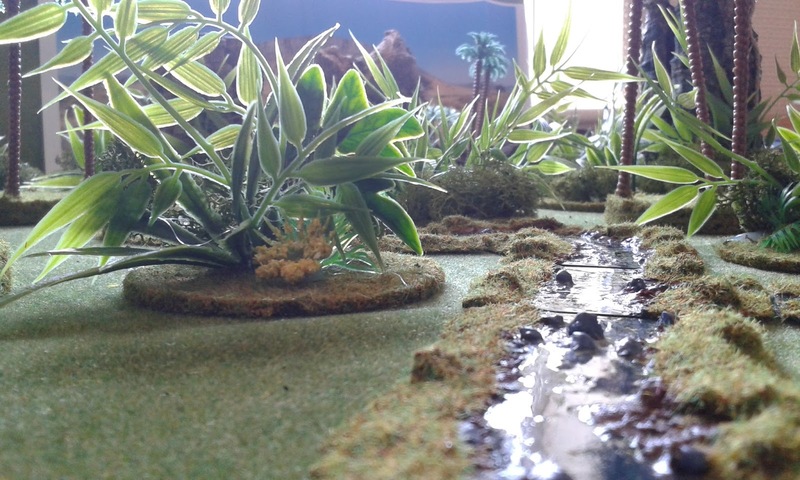 A general view of the stream snaking across one side of the table, and a close up of the same area. 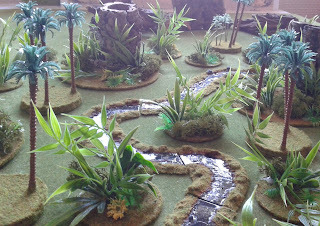 The more civilised end of my jungle! A Spanish blockhouse in the foreground with a field of sugar cane to the right and a cultivated field and cottage to the left, with a second closer view. A higher angled view of the whole setup with a road snaking through the settlement and my crop of banana plants in the foreground! 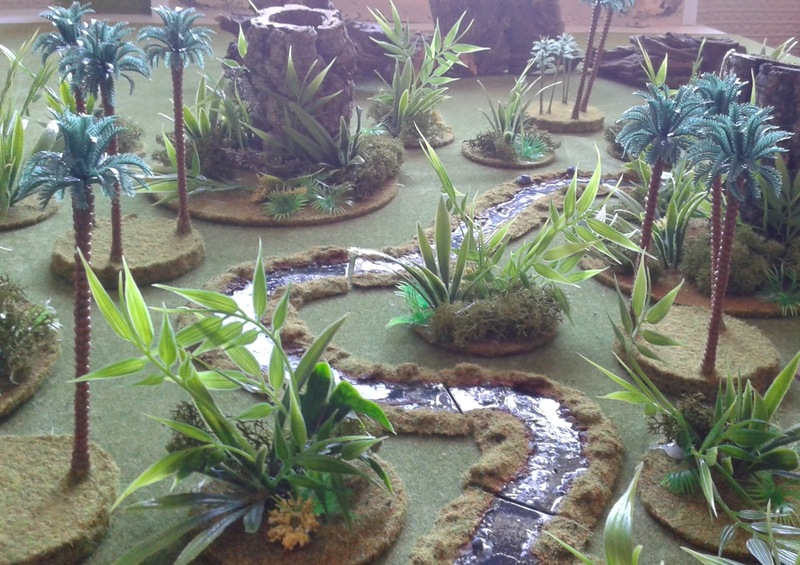 A second high angle view of the whole table so far with my half finished jungle backdrop to the rear.